Shannon O'Flaherty is on a mission to raise the consciousness and vibration of our beautiful planet. 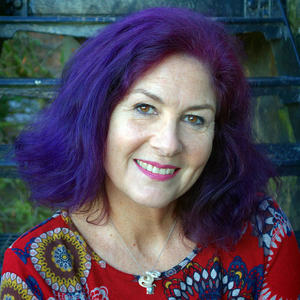 She primarily works with devoted healers who are helping others shift. Yet the last illusive strands of self doubt and fear are preventing them from reaching their highest potential and living their most authentic life. The opposite of love, is fear. Isn't it time you achieved all-encompassing love and become the authentic healer you have been called forth to be? Around this time last year, I was in a very sad, confused & lonely “dark night of the soul” place. I sought out conventional therapy and definitely learned a lot about shadow work, but ultimately rejected the direction my therapist was taking me in, and I quit after 6 months. Fast forward to today; I am presently a student of our devoted healer, Shannon O’Flaherty, and being taught her “Moving from Fear into Love” course. I am seeing, addressing, and actively HEALING my shadows. It’s an amazing “WOW” process, and we are only half way through the course!! For me, enlightenment reveals itself in layers. I am no longer afraid of my shadow self, and I still have plenty of work to do, but I’m willing to do what it takes. “Nobody said it would be easy, they only said it would be worth it.” ... and I’m worth it! From the very first time I saw Shannon demonstrate her healing therapy I've been impressed with her abilities and deep caring. It's been said elsewhere that she's a 'Therapist's therapist' and I'd agree. She works hard on herself to continually deepen her practice and challenges herself to keep moving out of her comfort zone. She brings the same level of dedication to her clients. She's also a great travel guide and organiser of trips to amazing experiences in Peru and elsewhere. If you're thinking of working with Shannon, I'd say you're in for a transformation. Shannon is an astounding healer and spiritual coach. She is the healer/coach to whom healers turn when they need help. She is compassionate, intelligent, funny, and brilliantly insightful. Her healings go deep, and profoundly change both body, mind and spirit for the better. I have known Shannon for almost 2 decades, having met at "shaman school". We have exchanged healings, I have taken workshops and certifications she has given, and have grown tremendously from Shannon's expertise. She is a thorough, effective and warmhearted healer and coach, with integrity I would stake my life on. I can't recommend her enough. Receive all the latest blog posts, videos and exciting content from Shannon and her team as soon as it is released!